HYAMATRIX® Neck and Décolletage Care Cream is an antioxidant-rich treatment formulated to prevent and correct signs of aging in the neck and décolletage region, including wrinkles, double chin, softened contours, sagging skin, pigment spots, and redness. Don’t let your neck and chest give away your age! Protect and repair this area that is so often neglected with HYAMATRIX® Neck and Décolletage Care Cream. 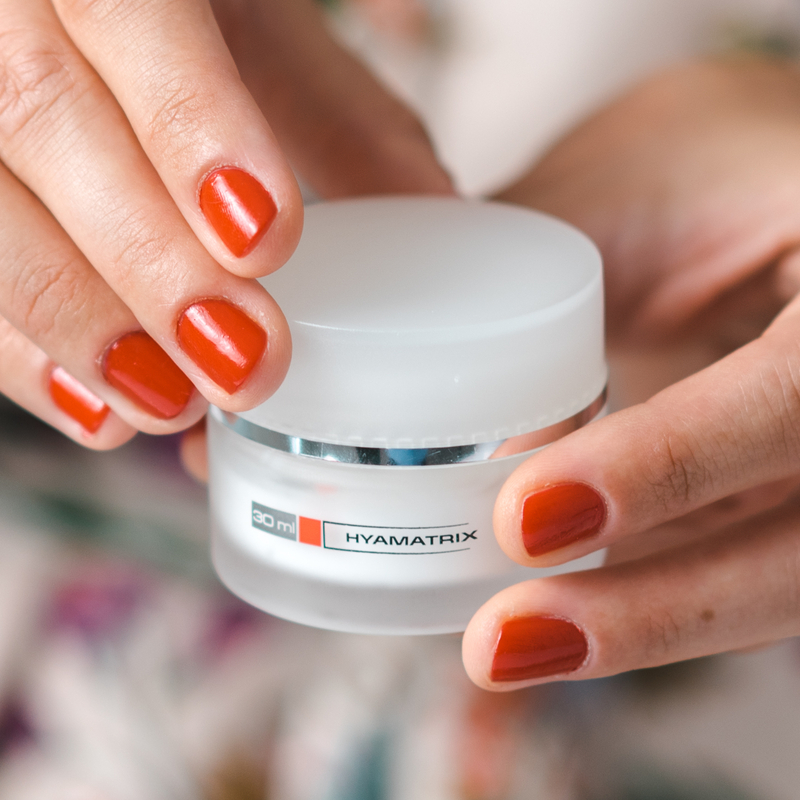 With regular use, HYAMATRIX® Neck and Décolletage Care Cream significantly smooths, tightens, and moisturizes while fading age spots and freckles. This is your new secret weapon for a more youthful-looking neck! Firms skin that has become loose, wrinkled, and crepey due to gravity, sun exposure, and free radical damage. Tightens and improves elasticity by boosting the production of collagen in the skin, which naturally declines with age. Reverses the effects of environmental damage on the neck and chest. Deeply moisturizes skin and improves microcirculation. 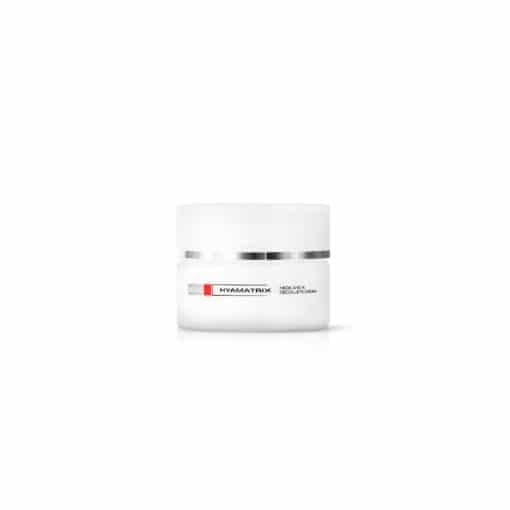 Improves cellular regeneration, which in turn helps to repair an uneven skin tone. 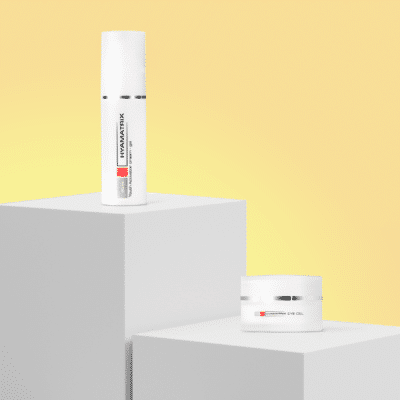 We recommend HYAMATRIX® Neck and Décolletage Care Cream for treatment of loose, wrinkled skin with unwanted pigmentation and redness in the neck and chest area. After cleansing, apply a small amount of product on the provided spatula to the neck and décolletage areas both morning and evening. 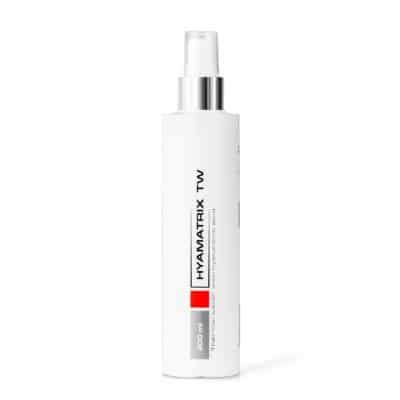 Using HYAMATRIX® Correcting Serum with Matrix Peptides before the product will increase its efficacy. Follow with Sunscreen Cream with Hyaluronic Acid SPF 50 to protect this delicate area. Hyaluronic Acid & Matrix Peptide® Complex – Small molecules penetrate the layers of the skin to provide long-lasting hydration at skin’s deepest levels. 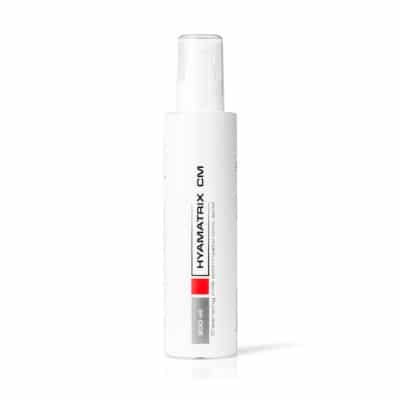 This complex stimulates cells in the dermis to produce hyaluronic acid, collagen, and elastin. As a result, skin looks and feels like it did when it was young. Hydrolyzed Collagen – This incredible ingredient penetrates deeply to increase your skin’s own production of collagen. Collagen is a naturally-occurring protein that provides skin with its structure, keeping it smooth and firm. As we age, however, this necessary protein degrades, leading to crepey, sagging skin with fine lines and wrinkles. 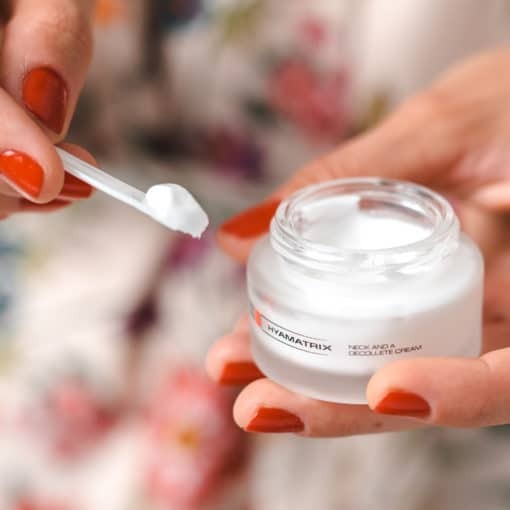 Thus, this cream gives your neck and décolletage a more youthful appearance by stimulating the natural production of this structural protein. Vitamin C – Enhances collagen synthesis to firm and smooth sagging, crepey skin. Also helps to fade forms of hyperpigmentation like sun spots and freckles. Vitamin A & Vitamin E – Acts as antioxidants, counterbalancing the adverse effects of the environment by neutralizing free radicals. This protects against future aging. Avocado Oil & Jojoba Oil – Nourishes with omega-3 fatty acids, ensuring the replacement of needed lipid substances in aging skin. Address: 1068-HU, Budapest, Király utca 112. 4. em. 19.